It’s not often that product or industry find their niche far from where they were originally intended, but there are exceptions to the rule, and perhaps this is where new opportunities lie. In 1886 Coca-Cola started out as a cure for morphine addiction, a far cry from the most popular soft drink in the world that we know and love today. This is arguably the most popular example and rightfully so with the Coca-Cola brand having a value in excess of $70 billion, not to mention being one of the most popular brands in the world. But this doesn’t really speak to convergence, it simply illustrates a point. 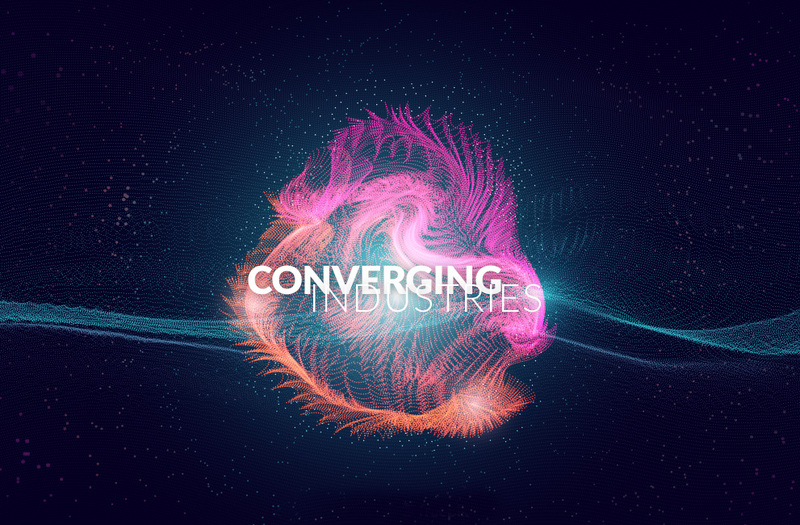 To speak about convergence we need to look at seemingly unrelated industries and show how their paths meet and align. To make this article relevant to you, we need to speak about the convergence that you’re probably not aware of, the convergence that is happening right now. There is an opportunity that exists for printers to explore new markets that make use of structural applications with their existing equipment. These markets offer significantly better margins for players in an industry with ever increasing margin competition. They also present additional revenue streams without the need for significant capital outlay. By simply working with a new substrate such as Xanita board, printers gain the ability to move from a flat two dimensional starting point and finish off with a three dimensional load bearing structure, which opens up a world of possibilities. These possibilities are perhaps most notable in the event & exhibition and Shopfitting industries. Now you might be questioning the convergence, since you’ve already done signage for that big retailer who squeezed you, and the other 20 printers who pitched for the job, for every last percent of your margin. But we’re not talking about signage, no, we’re talking about the parts of the job you wouldn’t dream of pitching for, the parts of the job that are so far removed from what you do, that you don’t know who your competitors are, the same competitors who should be terrified of you and don’t even know it. We’re talking about non-structural decorative applications such as bulkheads, cladding and shelving for entire retail groups; we’re talking about entire exhibition stands or even the entire exhibition (yes it has been done). The ability to direct print, cnc cut, ship flat packed and significantly reduce structure weight, play into a series of advantages that printers have over traditional suppliers, in the event, exhibition and Shopfitting industries, that they might not even be aware of. For example, if you took a 16mm sheet of Xanita board, direct printed a wood grain, used a v-notch tool to cnc cut it and allow it to fold to resemble a wooden beam, and then suspended the beam as a decorative bulkhead in a retail store. Would a customer notice the difference between that and an actual wooden beam? Would they care? The answer is “probably not” and this is where the opportunity lies. From 10 feet away the consumer will not know the difference between a well printed, well converted piece of Xanita board and the real thing; but the shop owner; retail store; retail giant will. The end-to-end cost & installation differences between real materials such as wood, widely used substitutes such as MDF and substrates like Xanita Board are staggering. For starters Xanita board is 75% lighter than the equivalent MDF sheet and even lighter when compared to timber, this coupled with faster production and installation times, as well as, more cost effective shipping makes it a very attractive solution for those who have to fit the bill. It’s the very reason why we’re starting to see a convergence between the printing and shopfitting/exhibition building industries. The only real question is, if a single substrate allows you to open up a world of new business opportunities, do you embrace it? Or do you take your chances in the ‘safety’ of your comfort zone?